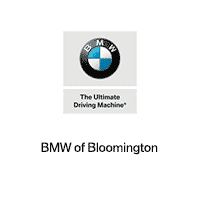 BMW of Bloomington is dedicated to serving drivers in Normal, Decatur, and Pekin by providing the ultimate client experience wherever you find yourself in the car-buying journey. We promise to deliver all of the services and world-class amenities you expect from a premium Bloomington BMW dealership.Whether you’re looking to buy or lease a new luxury BMW vehicle or interested in our wide inventory of used and certified pre-owned cars, trucks, and SUVS, our team will make sure you find the perfect vehicle to fit your needs. We’re with you every step of the way. Our expert sales team considers it their personal duty to take the time to fully understand and fulfill all your needs and preferences. One way we do that is by offering one of the largest inventories of new and pre-owned BMW vehicles in the region, so you can be certain that when you step into our showroom, you’ll have an unrivaled selection of quality cars to consider, whether you want to lease or buy. If you’re interested in a dependable used vehicle, we also offer a vast inventory of sedans, SUVs, trucks, and vans from every make and model. Whether you’re looking to buy or lease, we work hard to secure you the best BMW financing. Once you decide on the car of your dreams, our financial experts will work to make your dream a reality. We’ll walk you through the entire process and take the time to fully explain all of the options available to you. That way you can make the best decision for your finances and drive off in total confidence. Have a specific vehicle in mind? Bloomington favorites include the BMW X3, X5, 3 Series, and 5 Series, and you can get a clearer picture of your future monthly payments by using our payment calculator and valuing your trade-in. Our commitment to you doesn’t end once you drive off in your new vehicle. Our service center is staffed by a team of licensed technicians who specialize in maintaining and servicing your specific BMW model and trim. Our facility features state-of-the-art automotive tools and diagnostic technology, and our team will thoroughly service your vehicle and bring it up to BMW’s standard of excellence in no time, so you can be on your way and enjoy the Bloomington area. If you’re the type of driver who prefers to handle your own maintenance, our parts department supplies only genuine OEM BMW parts. It’s our goal to keep your investment operating at peak condition so that you can enjoy it for years to come. At BMW of Bloomington, we’re proud to provide drivers from the Bloomington, Normal, and Champaign areas with a one-of-a-kind experience when they’re looking for the perfect luxury BMW, or quality used and certified pre-owned vehicle. To get started, stop by our convenient location or go online to schedule a test drive today!